October is traditionally the month to appreciate Pastors and Staff. We encourage all churches to honor their leaders. 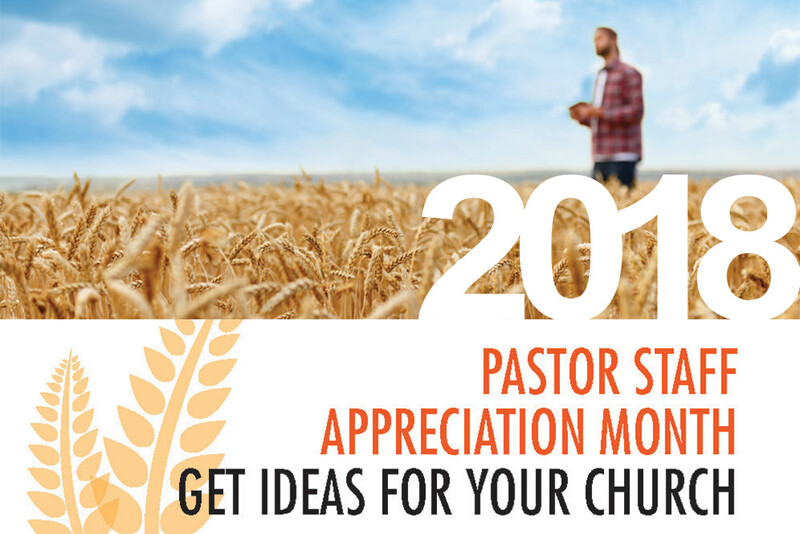 Use this to download a printable version of the Pastor Staff Appreciation brochure to share with your church. Make sure your church staff knows they are appreciated. For a few ideas, click below. October is Pastor Appreciation Month. Celebrate the hard work of your pastor and ministry staff. It doesn’t have to take a lot of time or money to tell your pastor and staff just how much you appreciate them. Please take a few moments to review these ideas to find ways to express encouragement and appreciation to your pastor and church staff. Pray how you might encourage your pastor and staff today. But we request of you, brethren, that you appreciate those who diligently labor among you, and have charge over you in the Lord and give you instruction, and that you esteem them very highly in love because of their work. Live in peace with one another.